=>> Complying with all applicable legislations and other requirements. =>> Conducting active R&D and technology planning in new process development and continually reviewing and improving our existing processes to minimize the adverse impact on safety, health and environment. =>> Using and maintaining equipment, systems and facilities to provide a safe work atmosphere to our employees, contractors, visitors, neighboring communities and aim towards becoming an incident and injury free organization. =>> Establishing business practices that utilize resources in an optimal manner by integrating sustainability principles like reduce, reuse, recycle, recover, replenish (5R) into all aspects of our business. =>> Continually improving EHS performance by setting and reviewing EHS objectives & targets periodically and implementing performance management systems. =>> Educating training and motivating employees and contractors to conduct their activities in a safe and environmentally responsible manner. =>> Embedding EHS fundamentals into the fabric of the business by implementing management system, EHS governance and risk management approach to address risks and impacts from our activities. =>> Interacting and communicating openly with all key stakeholders for improving environment, health and safety performance. =>> Taking personal responsibility for the safety and welfare of themselves and others as a condition of employment. =>> Ensuring that they have the knowledge, tools and processes needed to perform their work safety and protect the environment. 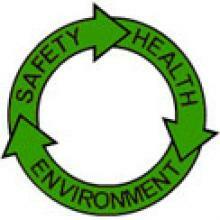 =>> Following all company procedures and rules that protect the health & safety of individuals and the environment. =>> Promptly reporting incidents and proactively correcting & behaviors at the workplace that could harm individuals or the environment. =>> Participating in our EHS programme and contributing to its continuous improvement.